Foundation Friday is back! I used to do this series on my blog a while ago but thought it was time to bring it back. I own around 30-35 foundations which is excessive i know! I just can't help myself. I am always on the hunt for that perfect base. Over the past week i have given you all the chance on Twitter and Instagram to vote out of a choice of four foundations. 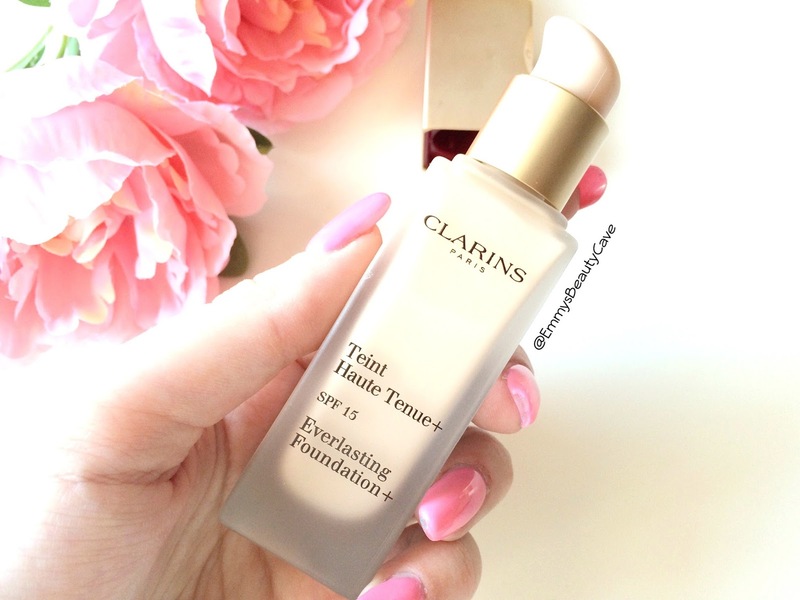 The winner this week is the Clarins Everlasting Foundation which was in lead by quite a few votes. Like always lets start with the packaging. This bottle is definitely high end! It is a glass frosted bottle which looks gorgeous with the gold lid. The bonus points go to Clarins as YES it has a pump! Finally a high end brand which provides the pump to make life that little bit easier. You receive the standard amount of 30ml like most foundations. The Clarins Everlasting Foundation has a matte finish whilst still looking luminous. I do love a good matte base but sometimes you still want to look like you have that slight glow. With me there is a difference from looking luminous and looking oily its a fine line not to cross! This foundation does that perfectly. The coverage is medium to full and easily buildable. I find it blends in easily and doesn't feel heavy. Clarins claim this foundation to have 18 hours of wear and keeping us matte. Does it do this? Yes it does. I have super oily skin and find this foundation works well on me if i use a good primer and powder. I would say this foundation would work on Oily or Dry Skin. Even though it has a matte finish it isn't drying, doesn't cling to dry patches and it isn't super matte like some foundations. I can definitely see myself using this more now in A/W especially with me preferring a fuller coverage. To get best results i found applying with a sponge/Beauty Blender was best. Don't forget to check out my Twitter & Instagram to vote for next weeks FOUNDATION FRIDAY! Search EmmysBeautyCave on both Twitter & Instagram or use the links below. The bottle is certainly gorgeous! 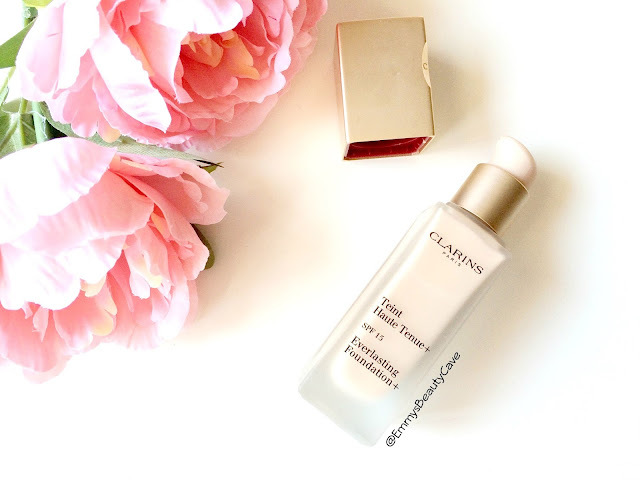 I love that subtle glow and often avoid mattifying foundations because I have very dry skin. This does sound like it wouldn't look a cakey mess on my face though, I'm intrigued! Ive never tried any Clarins products, this one sounds amazing!! I've never tried that, but sounds quite interesting! I love the glossy but not to oily foundation! I can't remember the last time I even looked at a Clarins product let alone their foundations. I do know my mum was looking into their foundation though but I was hesitant on her buying it as I haven't read any reviews on it until, well now ahaha. Im glad to hear its a nice foundation, although Im not in love with a Matte base because of my skin type I can see how it would work nicely x Great post doll ! This foundation is like the Louboutins of foundations, it looks so expensive and designer and yummy *heart eyes emoji* - you have so many foundations Em! I have like 3!